Turn any wall, mobile system, or open space into a configurable weapons rack. The WeaponWRX modular weapon storage system was designed for storing firearms and other military weapons and accessories. Configure the rugged, modular steel frames with a variety of components to accommodate rifles, pistols, and other weapons and gear. 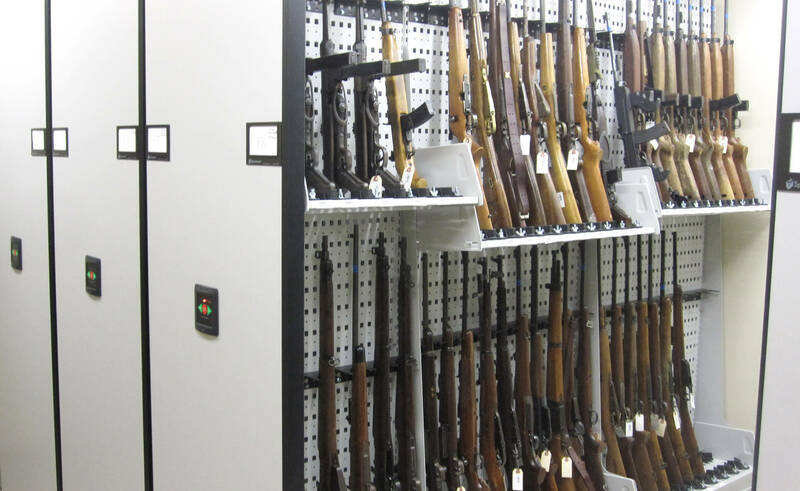 In addition to weapons storage components, the system can be configured with plastic bins, wire baskets, metal trays, dividers, and more to accommodate accessories and small parts. This open system can be freestanding (double-sided), mounted on a wall, mounted to a compact mobile system [link to HDMS page], installed on a WeaponWRX Cart, or bolted together to create a continuous wall. Components ensure that weapons can be stored with optics mounted for optimum readiness. Plus, all accessories are user-reconfigurable, so the system can change as your storage needs change. Multiple storage configurations for any type of small arms: rifles, shot guns, hand guns, tasers, M4, M16, AR-15, MP5, M249, M240, etc. 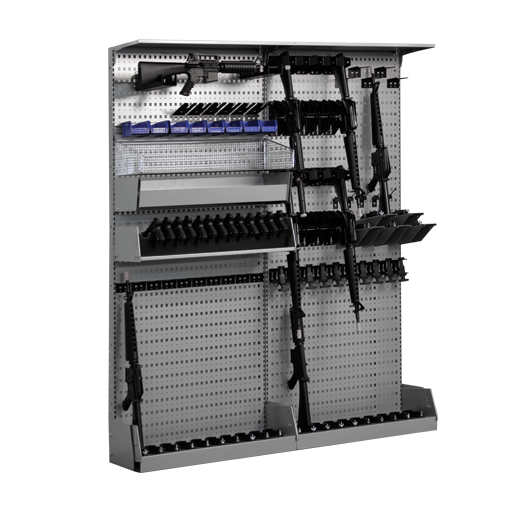 Learn more about our modular weapon storage system by downloading the WeaponWRX Info Sheet.